Hello, Ribbon Lovers! I'm always on the lookout for fun ways to share a gift card. The other day I was putting together a birthday present for one of our daughters-in-law when a very fun idea came into my head. 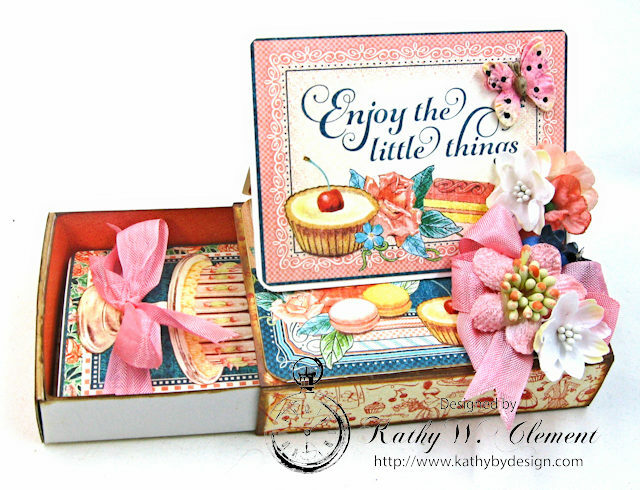 So I grabbed my Graphic 45 Cafe Parisian papers and some pretty Pink Salmon Seam Binding Ribbon and put together this fun gift box and mini card set. Isn't it cute? The base is a 3x4.25" matchbox that I've had in my stash forever. 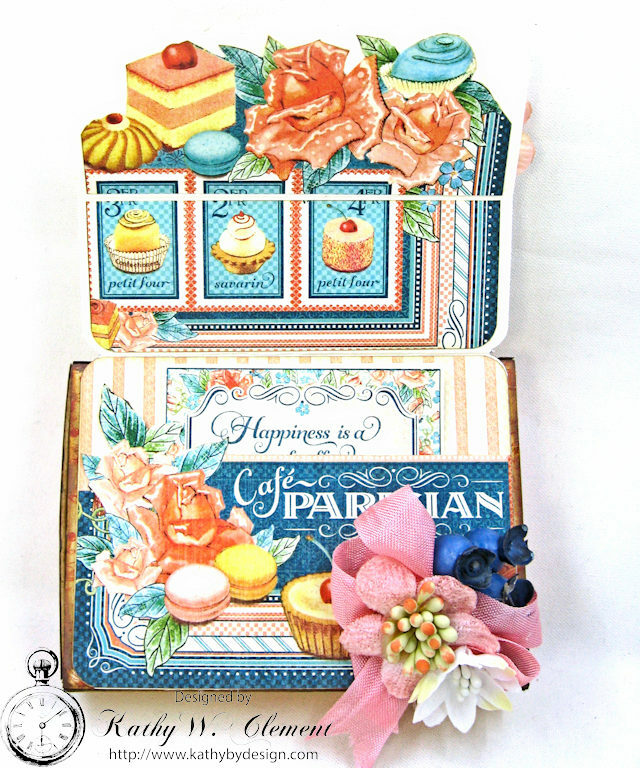 I simply dressed it up with pretty Cafe Parisian papers and images. Then I created a small easel style topper, added some posies and a pretty Pink Salmon Seam Binding bow. I left room behind the "stopper" so that I could slip a little gift card inside. 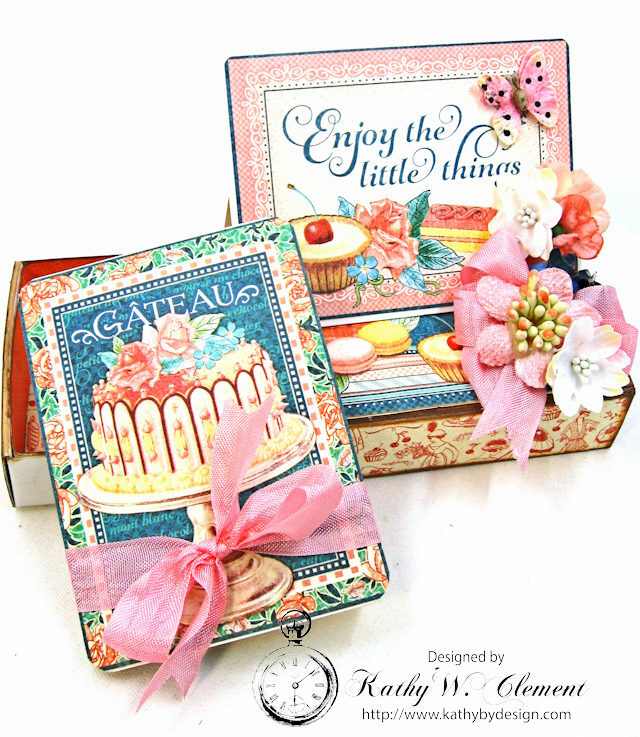 There's a super cute mini card tied with the same pretty ribbon. I created a belly band that holds an individually wrapped chocolate, and a cute little tuck spot for my handwritten personal message. 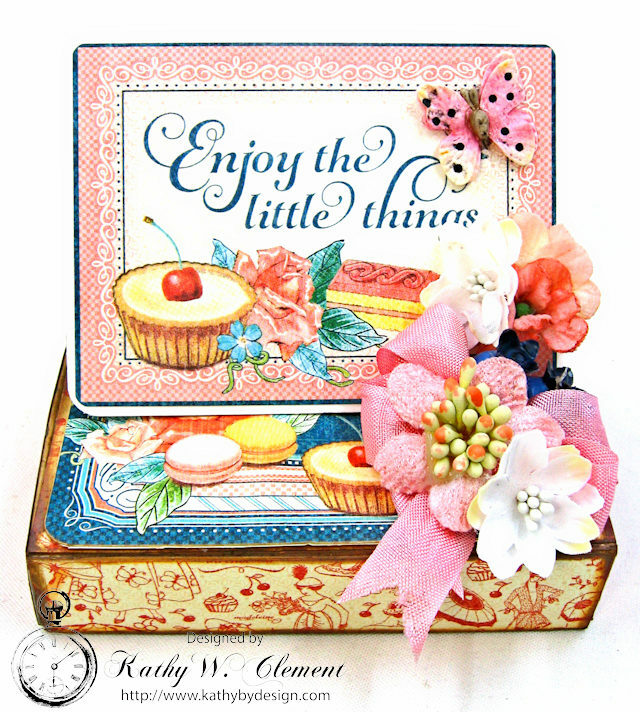 This was such a fun and easy project to make, that I plan to do more. 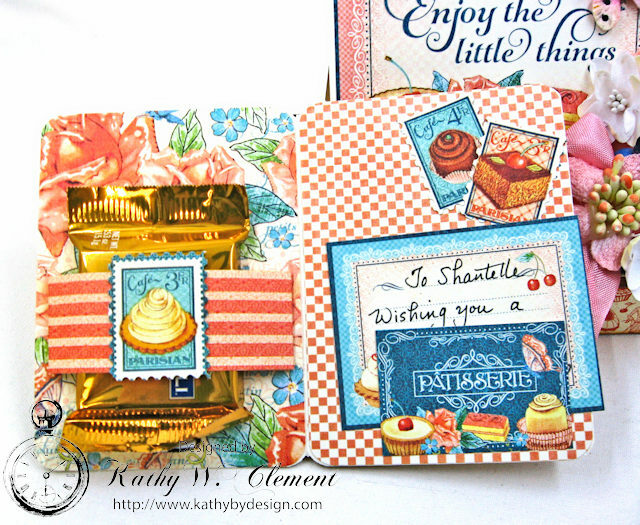 I hope I've shared an idea or two with you that you can use in your own crafty adventures. Wow, who wouldn't love to receive this show stopper? !